This is a response to Tee Ngugi’s thoughts in the East African that Song of Lawino has crippled “our art, ideology”. Tee chooses to pit two writers who are African against themselves on the basis of art versus utility. That literature’s art should be enough to cause change on its own without imposing certain things on the writers. 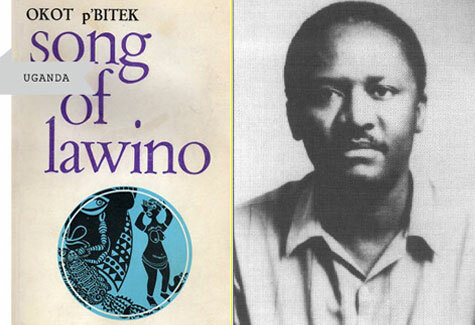 I have read Okot P’Bitek’s Song of Lawino but I have not done the same for Sedah Senghor. So perhaps I will be a bit biased in my response. There are schools of thought that unaware of the non-partisan nature of art attempt to claim art for themselves and refuse to share. I feel there can be genres which have some qualities art meets but a group of people with an agenda should never decide what is in a genre. Writing, I have always believed, is an expression that can be used to emit views of an individual or a group of individuals. However, I think it is not right for any group to speak on behalf of others and declare that a certain type of writing allows you into their circle. I think Makerere’s view was motivated politically not with the view of the art and perhaps in this sense I agree with Tee Ngugi. However it begs the question, what ideology is Tee Ngugi referring to? Having read Okot P’Bitek, I would not make the claim that the writing while pushing an agenda was emptied of its art. Sure, even while in school, most of the literature books from African authors were pushing a nationalistic ideal or the issues that came with it, the literary sense was alive and strong. I remember having been very angered by the fact that in The Lion and the Jewel, it was Baroka, the uneducated man and not the young poetic Lakunle that won over Sidi, the Jewel. I was already romanticised with the idea that poetry, education, eloquence were what made a man. Indeed in some way the book reminded me that there are several things that make a man. However, I do not think I would have enjoyed that book if it was empty of art and just purely ideal. Still, originally I never saw this as a nationalistic, political agenda. In some books it is quite overt, like Carcass for Hounds. You are infected with a need to evangelise for Africa but it is not artless. Art is art. The ongoing debate about what constitutes African literature and an African writer is unnecessary. When you ask me what constitutes African literature, I feel that already you have tried to make literature your slave. Should it not be literature that talks about African issues, or European issues or Gypsy issues? Why must art have a race? And why must the artist be forced to fit into that race? Why can’t literature simply be a partner or a worker? And not a slave? If I wrote poetry drenched with the ideals of Western Capitalism, would it make me an American poet? If I wrote with the mind of a Gazan citizen, would it make me a Gazan poet? Would my poetry be accepted as Gazan literature? Art can be used to favour your cause but should not be enslaved to it. Nonetheless, the works that were used to push agendas cannot be derided for pushing agendas if you notice their literary gene. Okot P’Bitek wrote beautifully. So did Meja Mwangi in Carcass for Hounds. Senghor’s communication of political and cultural messages is subtle, the messages dreamlike, for he is concerned with achieving his artistic purpose. P’Bitek only uses the resources of art superficially. To critique the first comment, I am certain there are those who have enjoyed both Senghor and P’Bitek. And some have enjoyed P’Bitek without necessarily acquiescing to his purpose. And then secondly, to adjudge that P’Bitek uses resources of art superficially I think is really condescending. How can you read P’Bitek and not be impressed by the art? The critics of P’Bitek have valid points but to say that he was artless and dry? Saying Song of Lawino has failed as art and as ideology derides the man and his art. Art cannot be calculated as you would a Science. You cannot measure a certain variable against another and achieve a measure. I cannot imagine an artless P’Bitek writing Song of Lawino and Song of Ocol to merely further a cause. Of course he has the heart! If he can, then he is a scientist, who has learnt variables and equations but has no heart. Song of Lawino is a classic if not for its historical or political value, for its art; to me especially for its art. The new school need not cut their wrists over the old school. I believe both schools are misguided by trying to put art in a box. Literature is breath. Whether it stinks or is foul, it is breathed, it comes out of life. Life lives. Maybe the boxing of art is for scientific purpose. But if it is boxed with our mindsets of neo-African, or Pan African, I think we are the problem, not the art. The Bible says somewhere “Out of the abundance of the heart, the mouth speaks.” Kwani? can speak, so can Makerere and both can live at peace. Joel Benjamin Ntwatwa loves art and its aesthetics. Keen on poetry, prose and drama in that order. He has been a silent observer of the Ugandan literary scene for over two decades and is planning to add his own work to it. His favourite work is Arthur Koestler’s Darkness at Noon. Currently, his prose and poetry is available on Hope…Never Runs Dry. I agree with Joel. How can one not see art in Song of Lawino, with all that description and narrative? How can a poem like that, not be called art, of any form? Also, why can’t art just be art, as Joel asks? Art like music speaks to people differently. But it speaks. We all have eyes but we see the same things differently. Only when we have met those similar eye sights can we appreciate that we have. I remember in our class of Oral Literature, we all fell in love with Okot’s songs because we identified with it. If one does not see the art therein, then our eyes are to blame.